أتفضل الحل مع هذه الأسطوانة السحرية وفي ثواني معدودة تقوم بحذف الباسوورد وتدخل الويندوز والف مبروك ..
Windows XP, Windows Server 2003, Windows Vista, Windows Server 2008, Windows 7. قم باختيار تغير الباسوورد واختر اليوزر " المستخدم المراد تغير كلمة السر الخاصة به "
Lost password or locked Windows account is the most frequent problem data recovery specialists have to deal with. You could format the hard drive or reinstall your operating system, but that wouldn't keep you from partial loss of data, personal settings and extra headache. Besides, all that can take some time. There is a quicker and more elegant way out of this situation. 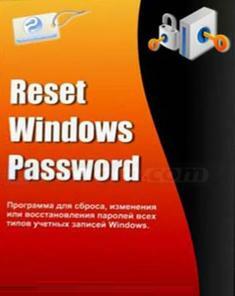 Just run Reset Windows Passwords from a bootable CD or USB and reset the forgotten password or unlock the account. It's a matter of a few minutes! Reset Windows Password is the most powerful solution for recovering or bypassing all types of Windows account passwords: user', administrator, Active Directory accounts, and domain administrators. The program is designed specifically for an inexperienced user and is easy to operate. On the other hand, the password lookup algorithms are unique and not used in any similar application. - Simple, intuitive graphic interface. 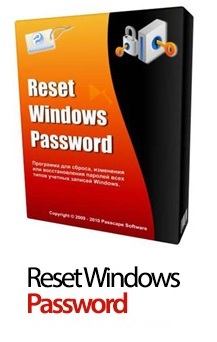 - Resets and modifies passwords of local users and administrators, domain administrator, Active Directory users, DSRM account. 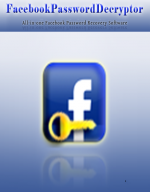 - Enables and unlocks user accounts. - Disables the password expiry option. - Dumps password hashes from SAM for further analysis. - Dumps password hashes from Active Directory. - Dumps domain cached credentials. - Supports all versions of NT-based Windows, including the Windows 10 TP. Windows 8+ LiveID accounts are fully supported as well. - All editions include the utility for creating a bootable CD/DVD/USB disk from the downloadable ISO file with the application. - Large collection of IDE, SATA, SCSI, RAID drivers. - Detects several operating systems installed on the computer. - Supports non-English versions of Windows and passwords in national encodings. - Allows undoing changes made to the system. - Deletes passwords and other sensitive data from the computer. - Searches for lost product keys and serial numbers. - New feature for looking up lost product keys and serial numbers. - New icons and some visual enhancements. - The program now correctly processes 'Account expire date' and 'Logon hours' flags and resets it if needed. This additional checkout is applied for both SAM and Active Directory accounts. - Several default setting were changed in password lookup dialogs. - Some annoying warnings were suppressed when parsing Active Directory databases. - Update for French and Russian interfaces (provided by Laurent Debard). - Fixed a critical error parsing Outlook Express entries. The bug affected some password lookup modules. Burn the ISO to create a bootable CD or USB stick.